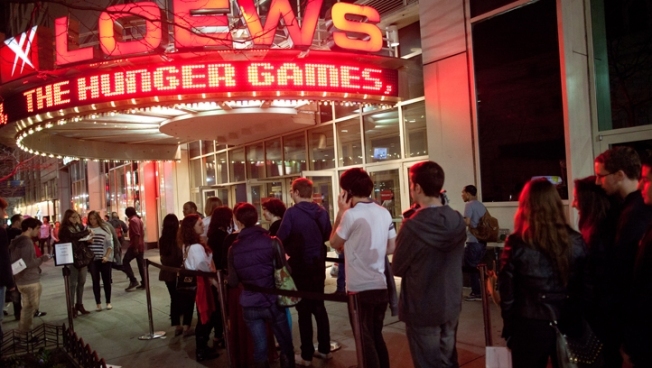 Fans line up to see the midnight shows of "The Hunger Games," at the 34th Street Loews AMC Theatre, Thursday, March 22, 2012, in New York. The feast is on: "The Hunger Games" has taken in $68.25 million domestically in its first day, a record for a non-sequel. The Friday total for Lionsgate's "The Hunger Games" was the fifth-best opening day ever and puts the movie on track for the best debut weekend ever in March. That record is held by "Alice in Wonderland" with $116.1 million. First-day revenues for "The Hunger Games" were well behind the record $91.1 million for last summer's "Harry Potter and the Deathly Hallows: Part 2." But "The Hunger Games" came within a few million dollars of each of the last three "Twilight" movies, whose opening days ranged from $68.5 million to $72.7 million. "The Hunger Games" stars Jennifer Lawrence as a teen forced to compete in a televised death match against other youths in a future North American society where a privileged capital city oppresses the people of 12 outlying worker districts. 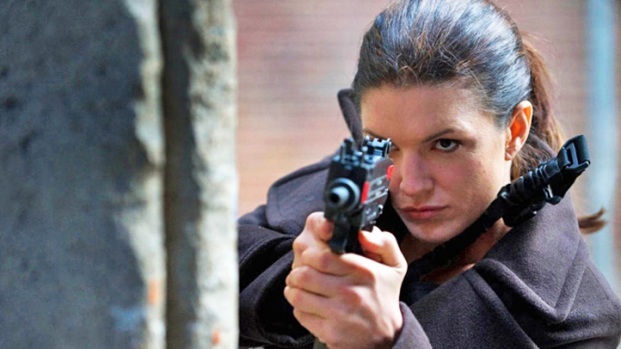 The film is based on the first book in a best-selling trilogy by author Suzanne Collins.